13/10 Flexible Orange Tubing - Where From? 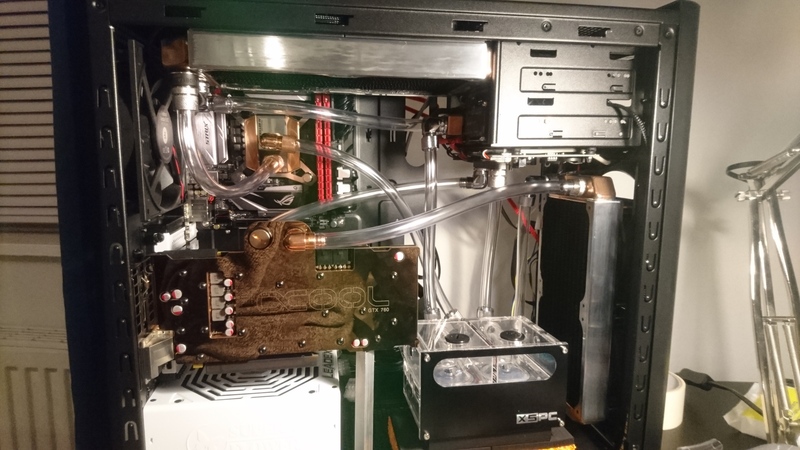 Discussion in 'Watercooling' started by The_Crapman, 14 Jan 2019. The_Crapman Don't phone it's just for fun. Trying to find some 13/10 (3/8"-1/2") flexible orange tubing (opaque non see through), but can't seem to find any. Anyone know any obscure sites that might have any? Big Elf Oh no! Not another f----ing elf! Maybe clear tubing and Mayhems Orange Dye? I'm currently sporting clear tubing with mayhems orange pastel, but I've aquired a 980Ti and will be getting a new block for it from Watercool with lots of coppery goodness. I want to use clear coolant so I can see the block in all it's glory, but really like how my loop currently looks in orange. I could try white tubing and mix it up a little, or just go with full clear. Full clear probably wouldn't look too bad. If you change fitting size to 19/13mm then Aquatuning stock Masterkleer Orange However I'm not sure it's opaque although being Masterkleer it will be within a week as all the plasticiser leaches out into your blocks. Yeh I'd rather avoid going for new fittings. They'd cost as much as the block!